Spring has sprung! Now that America is warming up and flowers all over the country are bursting into bloom, you may begin to notice honey bees outside in the sunny spring weather. These bees are called foragers (worker bees who leave the hive to visit flowers). Let's explore how these forager bees perform their important job. When a forager bee leaves her hive, she moves off in search of 4 things: nectar (to make honey), pollen (to feed to the baby bees - called brood - as their source of protein), water (to use in air-conditioning the hive), and tree sap or resin (to make into propolis, a sticky, brown substance which disinfects the hive and strengthens the honeycomb). She uses her senses of smell and vision to locate these 4 things. 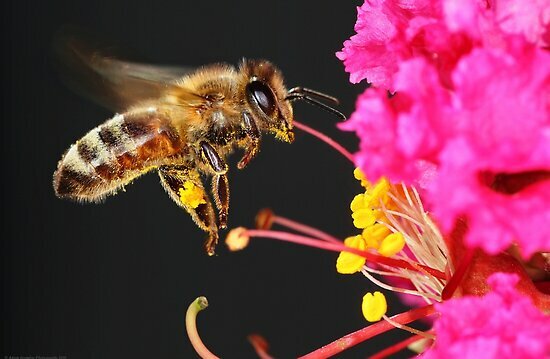 However, a honey bee's senses of smell and vision are different than ours. 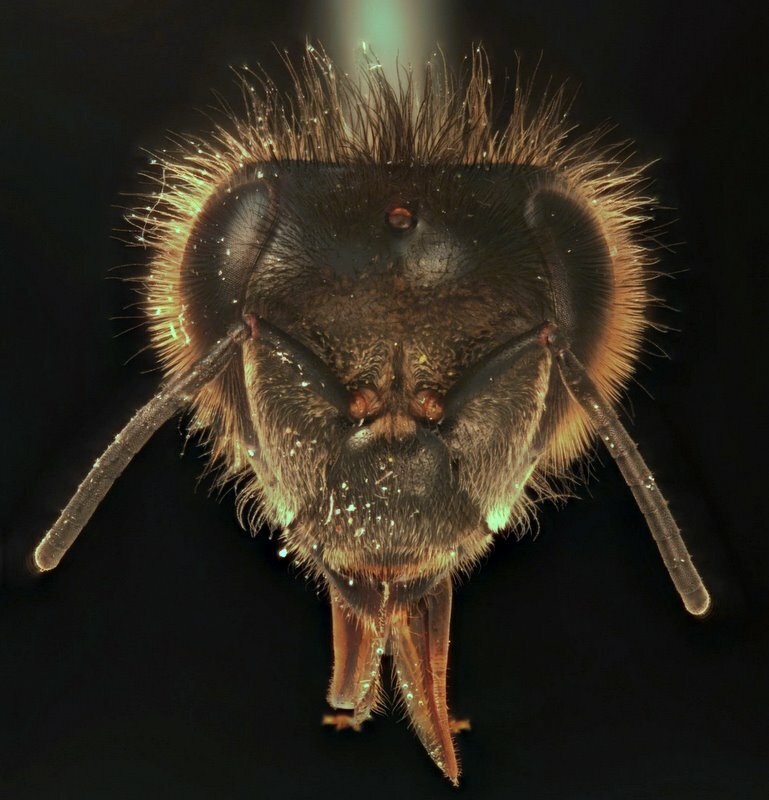 Honey bees don't have noses; instead, they smell through their antennae. Honey bees have an excellent sense of smell - believe it or not, honey bees have even been trained to detect bombs! Honey bees also see differently than we do. We only have two eyes, but honey bees have 5 eyes: two compound eyes on the sides of their heads and three simple eyes (called ocelli) on their foreheads. Each compound eye is made up of thousands of lenses called ommatidia (kind of like thousands of tiny eyes all in one), and are the eyes actually used for seeing. The simple eyes are used to detect differences in light and shadow, which is helpful when the bee is navigating between plants. Honey bees are also very sensitive to rapid movements. This is called flicker fusion potential. A honey bee probably wouldn't have much fun at the movie theater because the film would just look like lots of still photographs appearing on the screen one after another. The film would have to be sped up quite a bit to look like it was actually moving! Honey bees can't see the color red, but they can detect a color we can't: ultraviolet. On the color spectrum, the color red is made up of very long wavelengths which our eyes can detect, but honey bees can see the shorter ultraviolet wavelengths on the other side. 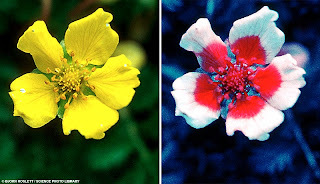 However, honey bees do sometimes visit red flowers, because many flowers, including red ones, have ultraviolet markings (called nectar guides) on them that the bees can see. Here is an interesting video about honey bee vision. on the right shows us what the honey bees see! red in this picture) on the flower on the right. In the next part of this series we'll talk about how honeybees use their eyes to be so effective at pollinating our crops! Honey, the only food made by insects that we eat, has a wide variety of uses. The most common use of honey is cooking. Honey can be used to sweeten drinks such as tea and coffee, and on pancakes, waffles, and biscuits! Honey and peanut butter also make a great sandwich! 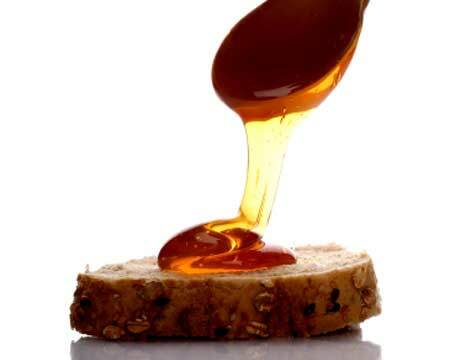 You can mix honey with butter to make honey butter, a sweet spread for toast and muffins! And don’t forget that honey can be used in place of sugar when cooking. When using honey instead of sugar use half the amount of honey (e.g. instead of one cup of sugar, use half a cup of honey). Check out honey.com for great honey recipes and check out our "Cooking with Honey" page for some of our favorites! You can also speed up your healing time with honey! Honey is antibacterial, which means it kills germs. You can put honey on minor cuts, scrapes, and burns. The honey will prevent infections, help the cut heal faster, and prevent scaring. You can also eat honey if you get a sore throat! 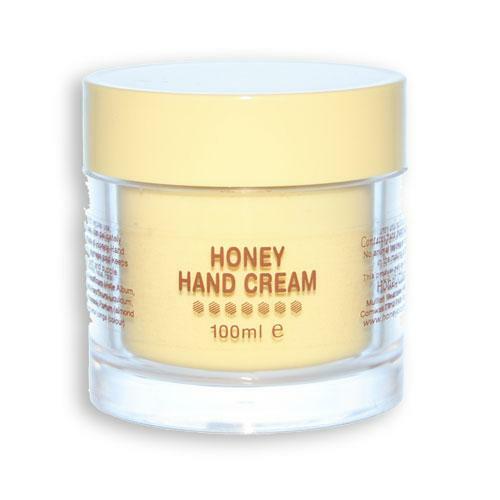 In addition, honey can be used in cosmetics. Honey is a humectant, which means it attracts and retains moisture. 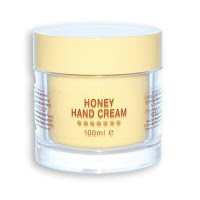 Because of this honey is used in lotion and lip balm. The honey keeps your skin moist so it won’t get dry! Because of this, Honey is used in face cream, shampoo, and soap! Next time you make cookies or cake, try using honey!